Need Roofers? We Got You Covered! As a full-service roofing company, our roofers and roofing contractors are well within the wheelhouse of Ridgeline Roofing. Whether you have gabled, mansard, or a hipped roof, we custom-design your roof to fit the building codes and unique architectural demands of your house. And we take pride in our rigorous standards of quality workmanship. We do any size of roofing project for any degree of maintenance, any size of damage. As a roofing business based in the Pacific Northwest, we work on the most common roof damages every day. Among the most common culprits to roof damage and gutter clogging, can trees cause all kinds of damage to a roof, seasonally or unexpectedly. While wind-snapped branches can damage shingles and cause leaks, smaller repairs could be in order if leaves are allowed to collect and leave unappealing, dark streaks on your roof. A number of issues plague shingles: cracks, moss, exposed fasteners, or loose shingles, to name a few. Sometimes replacing a few shingles here and there is all a roof needs to raise a home’s curb appeal. 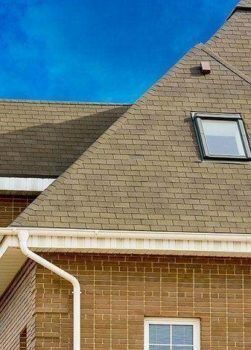 If shingle damage is widespread, it may be time to replace the entire roof. Sometimes the metal reinforcements that keep the joints, valleys of your roof water-tight lose their functionality over time. We not only replace damaged flashing, we test the effluence as it runs along the valleys of your roof to your gutter. We repair and install galvanized flashing, stucco flashing, masonry flashing and more. Mold growth, rotten plywood, and a buckling roof are tell-tale signs that your attic isn’t getting enough ventilation. That’s why fixing ventilation problems before they get worse is a necessary investment that will pay off later down the road. For larger-scale repairs, we replace rooftops with brand new shingles that are guaranteed to last you over 20 years. We specialize in tear-offs, re-roofing, and roof replacement. Many new homeowners in Vancouver consider roof maintenance around the time that they either buy or sell their home. If the roof is over ten years old. it’s a good idea to first have it inspected and then take preventative measures against hazards like moss and moisture. 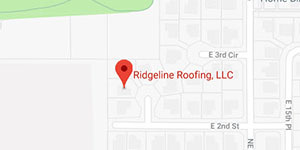 Ridgeline Roofing, located in Vancouver, Washington, makes it a point to serve customers all over Clark County with top quality customer service and outstanding workmanship. Our trained roofing contractors put customers first, with a free initial estimate and thorough inspection. Call us today!